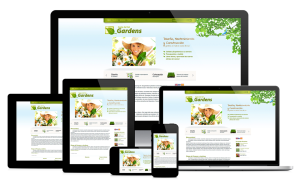 Responsive and Creative web designing is essential for Modern branding methods. Fresh ideas and contribution of exclusive creativity can generate a great bound impression for a business or product. The outcome of innovative and responsive web designing ideas can take your business growth and branding into a higher level. Responsive web designing is all about Website’s device compatibility. It is the highly demanded feature of modern websites and web applications. Because the internet usage is changing day by day from device to device. The display features, device screen size, device browsers, device operating systems are also changing continuously. These changes can highly affect the online branding and reputation. So the webmasters should update their knowledge and should change their productivity according to the industry needs. And should be able to implement the new ideas. The designing skills and productivity should be changed according to the industry needs. The conventional ways of website construction such as table methods and inside style scripts were already vanished from the IT world. The next extends like DIV, CSS device compatible scripts are currently prevailing. The latest industry needs like responsive web designing methods allows to run style properties according to the device used to browse. The innovations combined with automatic display size change according to the screen size of the device, browsers used, etc. Todays internet marketing is mostly concentrated in small devices like mobile phones and tablets so the web designing ideas should be compatible with those devices. Creativity is the backbone of web designing. Creativity should used for responsive web designing. Creative web designing ability should be search engine friendly too. Due to the changes in internet branding world and google’s updates, huge number of professional web designers changed their attitude towards usage of css sprite and starts to use optimized images and content for high traffic websites and highly crowded social media networks. Blending creativeness, device compatibility and search engine friendliness is the challenge for modern web designers. The creative ideas are changing with nature of business. For example style and color combination of website required for different companies are variable. Some companies need simple websites, somebody wants very attractive, dynamic and responsive websites with high end visual effects, requirements for an e-commerce website is another kind of designing. Building different forms of websites for different devices and browsers have already expired from website designing industry. But in usage of marketing platforms, most of the company profiles prefers different form of choice for different areas. For example for website or web page created as a landing page and micro sites which aims sudden conversion and quick loading features are used for marketing options like pay per click and banner ad promotional marketing. 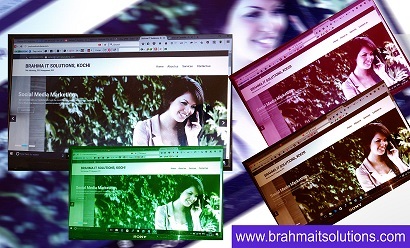 Brahma IT Solutions provides creative web designing services. Call 0091 – 9020807078 for creative web designing services and consultation.